Sally and Bill Chandler are a senior couple trying to survive on a fixed income that doesn’t stretch far enough. 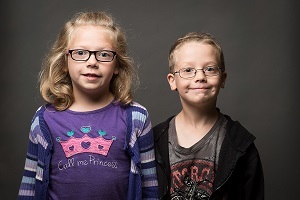 With the help of their generous community and Feeding America West Michigan, the Chandlers are able to make it through each month. In an act of gratitude, Sally decided to share how valuable these resources are to her and her husband. 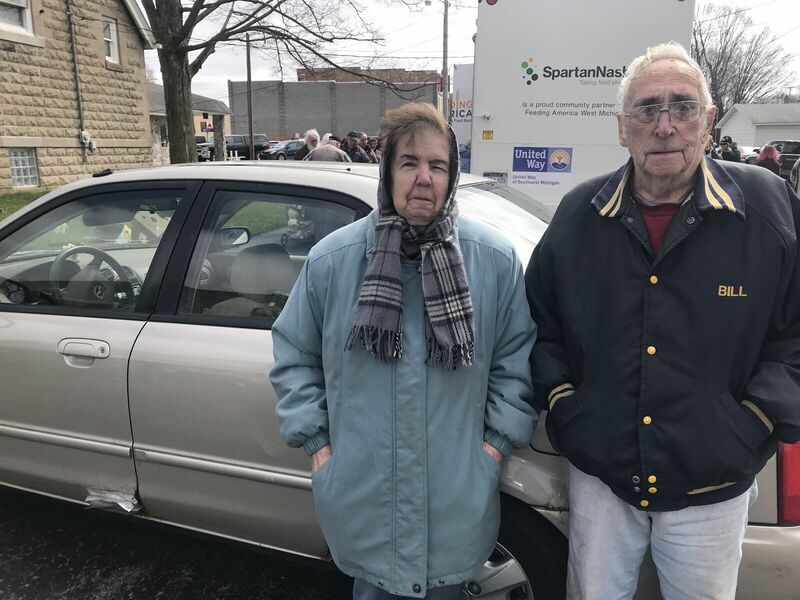 The Chandlers are among many seniors in West Michigan that would struggle to find adequate food without the support of community organizations. Sally just turned 79 and Bill is 82. They have four children, 17 grandchildren and seven great grandchildren, all of whom they love dearly. 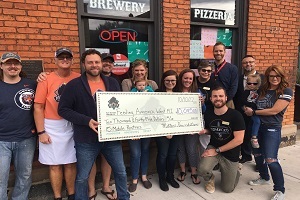 In 1988, after the couple’s four children were grown, the Chandlers left their home in Indiana so that Bill could work as a general foreman for a lumber company in Michigan. They purchased a home that year—which they are still paying for. Sally worked at the Big Lots in Three Rivers until she retired five years ago. After they had both retired, the couple considered moving back to Indiana, but ultimately decided to stay in Michigan. After 30 years, it has become their home. Sally and Bill enjoy and appreciate the community they live in. Luckily, the couple is still able to see their family since they are not too far from Indiana. The Chandlers live a simple life. Each day, Sally does her best to maintain their house and care for Bill, who has Chronic Obstructive Pulmonary Disease, but she too is aging and her daily tasks are becoming more difficult. Bill has periods of energy where he can get out of the house, but he must rest frequently and cannot be as active as he would like to be. Sometimes Bill has to rely on an oxygen machine, which can hinder him from going out for long periods of time. Today, the couple’s sole income comes through social security. 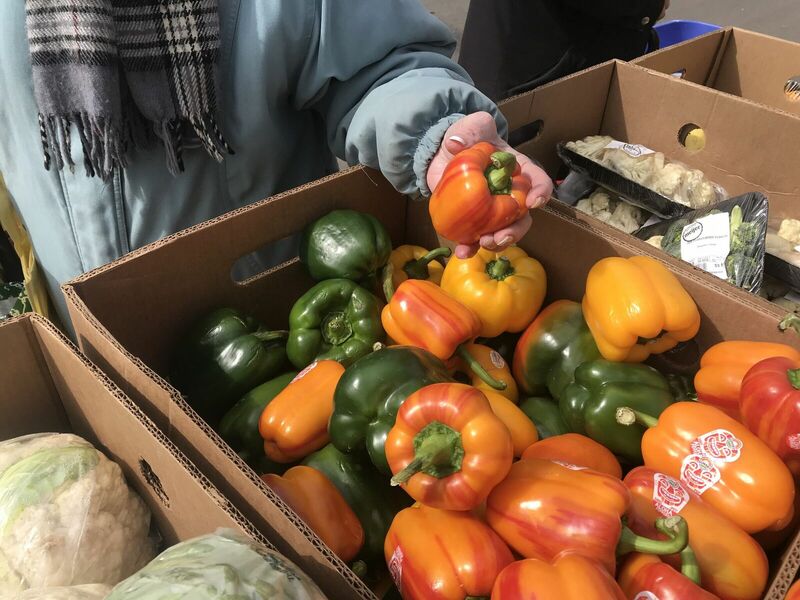 This fixed income allows them to pay their monthly bills, but what they are left with is not enough to afford their groceries for the month. Sally spoke about how she does her best to ration the money they do have left to try and stretch it as far as it can go by creating a budget and sticking to it, but the rationing only goes so far. This is where the organizations in Sally and Bill’s community step in to help. 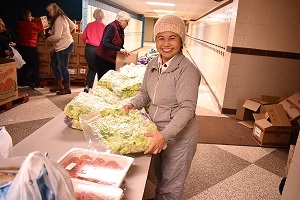 Marcellus United Methodist Church hosts Feeding America West Michigan mobile pantries, which are provided by the United Way of Southwest Michigan, five times a year. This resource makes a measurable impact in the small town of Marcellus. 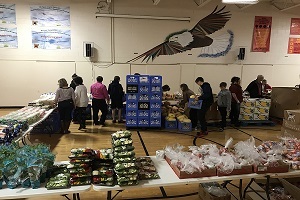 There is also a free monthly dinner provided by the church, along with a free store in their basement, where people can take food or other basic provisions they may need if they’re in a bind. 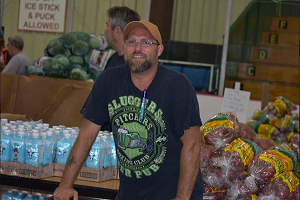 In addition, within their community, there is a food pantry open to the public each week, which is where the Chandlers get a lot of their food staple items. 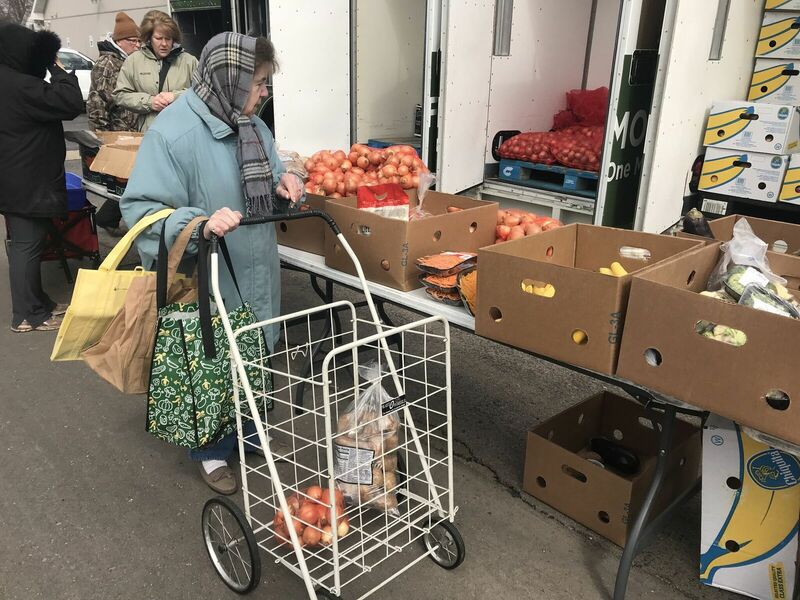 These resources provide for families in Marcellus who cannot otherwise make ends meet and filling the food gap makes a difference in their lives. Without these resources, Sally and Bill would struggle to nourish themselves adequately. When Sally spoke about the resources available for community members and those who provide them, she said, “they help one another in this town.” This sentiment reiterates why they chose to stay in Marcellus after retirement. The generosity and kindness that surrounds Sally and Bill keep them going strong each month while faced with adversity.